I am Fatema Begum living in Village Birpolee of Boroil Union Parishad of Bogra district. I was married to Abdus Sattar Akandh in 1988. My mother-in-law used to work with Dhaka Handicraft. After my marriage I learnt basket making from my mother-in-law. I also started working for DH soon after I learnt how to make baskets. I learnt it very well. My mother-in-law died 5 years ago. Unfortunately my husband has been suffering from paralysis. He is not able to earn. My son is in final year of his bachelor degree studying social work in the college. My daughter reads in class five. My dream is that soon my son will be in public service after completing master degree. Government job is more secured and people honor public service personnel. I am working for DH for last 15 years. My fellow artisans made me more respected by electing me the secretary of the group. I am contributing to the leadership of the group for five (5) years. I am very grateful to DH for helping me to be a self-reliant woman. I am happy to be able to meet the household needs and at the same time able to bear cost of education of the children. It would have hardly been possible for me to earn and meet my living costs. I produce basket and also work for the group. I keep records of producers. Bring advance money from DH and distribute the money to the group members. I also undertake carriage of the material produced by my group. My monthly income varies with production amount. I, on an average, earn 7,500 (seven thousand five hundred) Bangladesh Taka per month. I rear a cow which also earns some money. DH also taught me saving money for future through individual saving scheme. Before my husband fell sick, I was able to save some money and bought arable land of 12 decimals. The produce form the land added to our income. However, I have to spend on medical care of my husband now. In fact, I sold the land of 12 decimals when my husband was sick. It really saved my husband’s life. Nevertheless, I am still saving 500 Taka in a bank on a monthly basis. I have mortgaged-in 33 decimals of arable land. I cultivate crop in that land. Although agriculture is not so profitable, it gives rice for us and fodder for my cow. I am grateful to DH for the opportunity it has created through the handicraft program. I am proud to be part of the DH family. 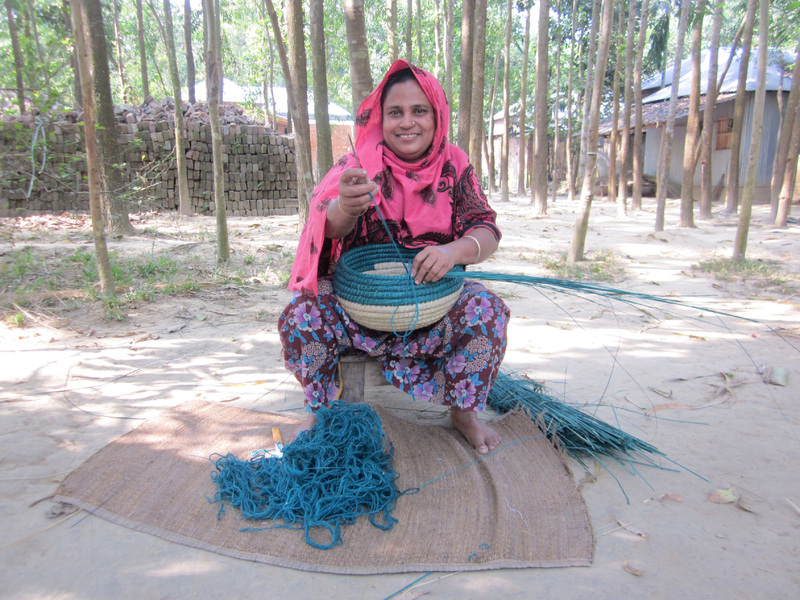 Not only me, there are lot of other women who are able to live a dignified life and become independent and leading the household with prosperity because of opportunities and services provided by DH.